Bullet Cups by Neptune Glassworks. 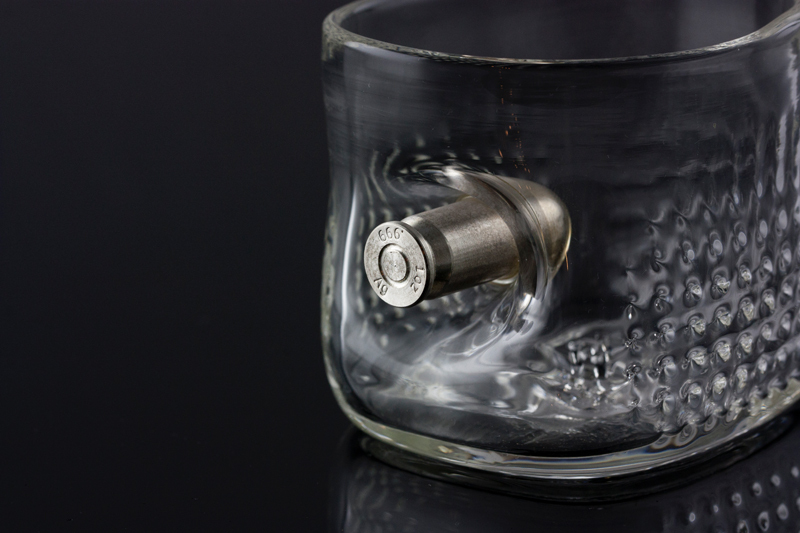 Original Shot Glass, Bullet Glass by Uri Davillier. Hand-made, hand-blown, lampworked, torchworked. Solid brass, pure copper, solid silver, glass. Full metal jacket. Custom drinkware solutions. Bourbon Glass, Rocks Glass, Drinkware, On the Rocks, Best Whisky Glass. Lowball. Made in Los Angeles, California. Ben Shot, luckyshotusa. Marksman Gift. Hunter, shooting, target practice. Made in DTLA. Perfect Gift for Dad. Father’s Day Gifts. What to get my dad for Father’s Day. Wedding Gift. Dodged the Bullet. Best Divorce Gift. Modeled after John Browning's 1904 design for the Colt .45, solid copper replica bullets cavitate these hand-blown borosilicate glass cups. Modeled after John Browning's 1904 design for the Colt .45, solid .999 silver replica bullets cavitate these hand-blown borosilicate glass cups. 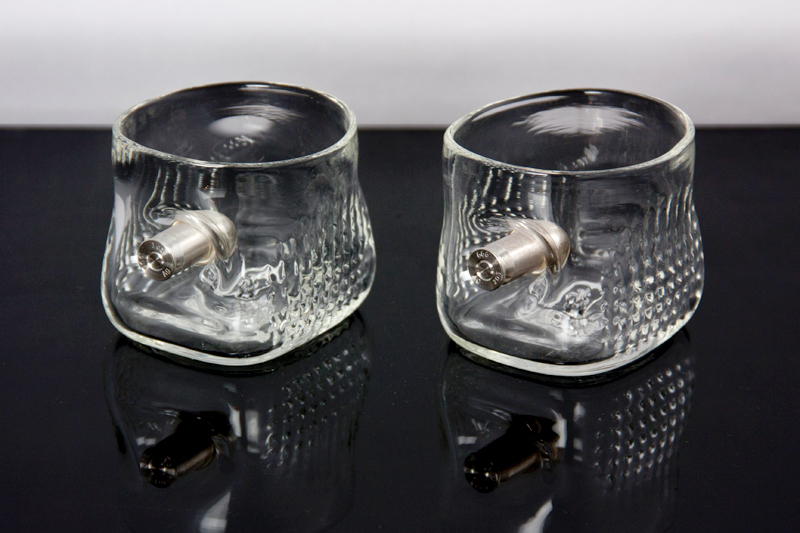 Peridynamic Modeling - full-metal-jacket copper .45 bullets cavitate these hand-blown borosilicate glass cups. 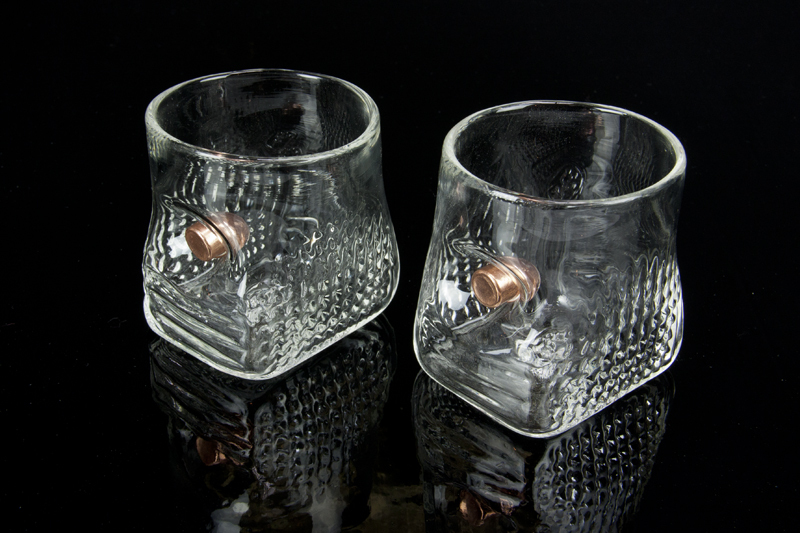 Peridynamic Modeling - full-metal-jacket copper .22 bullets cavitate these hand-blown borosilicate glass cups.